Bowers Group has supplied CoMech Metrology with a range of measurement solutions for the rail industry. Based in Derby, CoMech specialises in the calibration, design, manufacture and supply of safety critical measurement equipment primarily to the rail sector, but also to the automotive, aerospace and general engineering industries. Bowers Group provided CoMech with a Trimos V4 700 Height Gauge to aid in the measurement of bespoke rail gauges. This vertical measuring instrument is universally recognised for its ease of use and high quality manufacturing. The height gauge has enabled CoMech to successfully speed up its measurement of rail gauges. 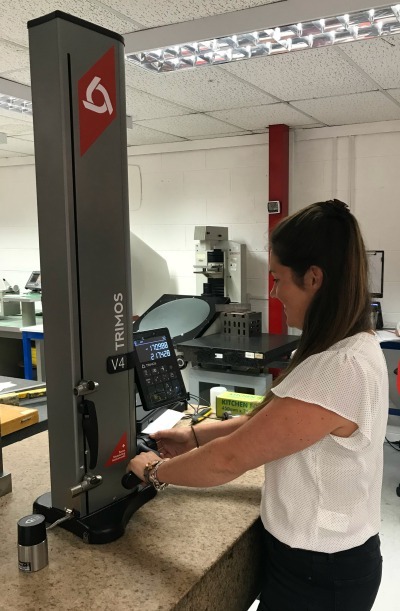 The CMM machine at CoMech is in very high demand, therefore the Trimos enables quick, simple measurement that takes demand off the CMM machine for simple measurements requiring high levels of accuracy. Bowers Group also supplied CoMech with a Sylvac M3 Dial Gauge Calibrator which is used to calibrate gauges. Suitable for testing dial gauges, plunger type and test indicators, the unit can be used in the vertical and horizontal position, providing direct status from the instrument during checking and sending measured results directly to software. Bowers Group also provided CoMech with a Baty R14 FT2-E Profile Projector to improve its quality inspection capability of wheel profile gauges for trains. 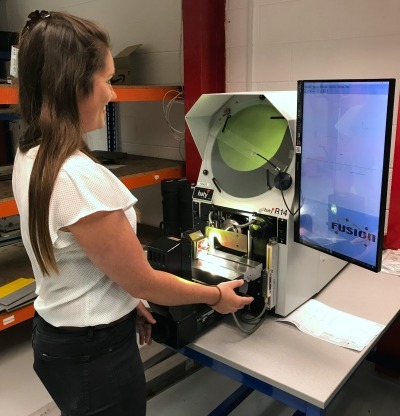 This bench mount profile projector boasts a 340mm screen, and combines high accuracy non-contact measurement and inspection with a large 175mm x 100mm measuring range. The horizontal light path configuration means that CoMech can secure the wheel profile gauges to the workstage and measure their consistency and accuracy. The profile projector also enables CoMech to free up the CMM machine, therefore carrying out more measurements. CoMech also uses the Baty Fusion Software, which combines ease of use, advanced edge detection and graphical reporting. Particularly useful for CoMech is the profile scanning capability, which automatically traces the profile of a part. The resulting data-point cloud can then be compared to a pre-toleranced DXF master for best fit analysis. Reports are then generated automatically, and can even be duplicated as an Excel workbook for email. CoMech has one of the largest stocks of heritage rail gauges in the UK, and its extensive knowledge of the rail industry is a result of many years’ working with some of the world’s leading brands in rail. The company has a fully equipped, specialist laboratory with on-site inspection equipment suitable for large volumes of production components. Its research and development laboratories house a wide range of inspection equipment, and provide a variety of services including calibration of measuring equipment, and repair and re-engineering services. 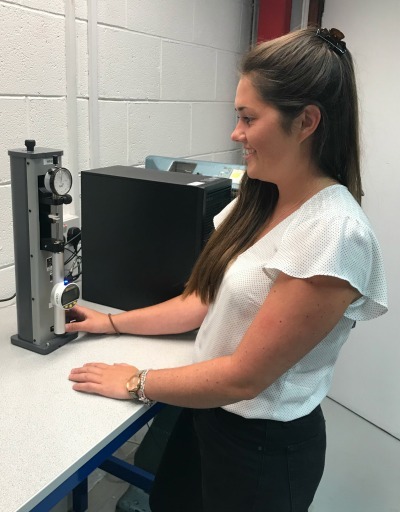 In addition to the design and manufacture of rail gauges, CoMech regularly receives instruments requiring calibration services from customers, including bespoke rail gauges, dial gauges, micrometres and calipers.